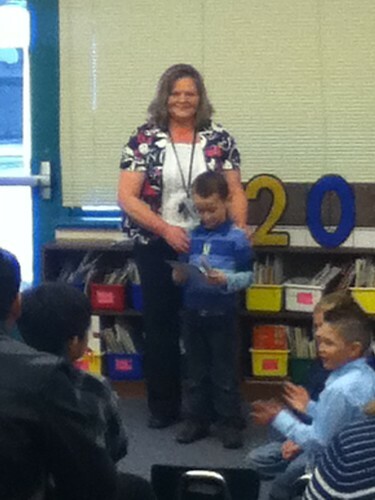 Duncan “graduated” from Kindergarten tonight! 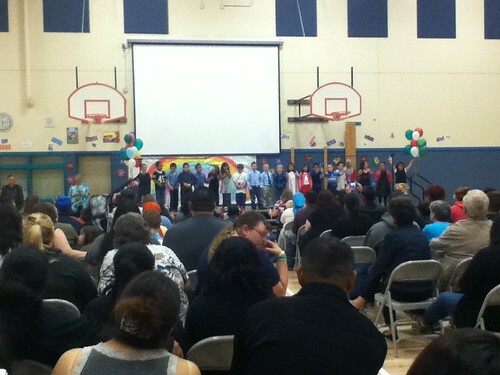 His class got to lead the gym in the Pledge of Allegiance and then they were first to perform. They sang “Chicken Soup with Rice”. He, of course, looked cute and sang along. They didn’t have any hand motions or anything, but you could tell he was much more enthused than Olivia ever was at her performances! 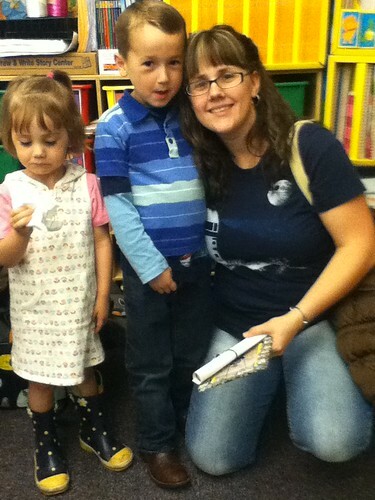 After they finished we followed their class out and Duncan received his photo in a puzzle frame and his diploma – here he is with his teacher, Mrs. Rodriguez. 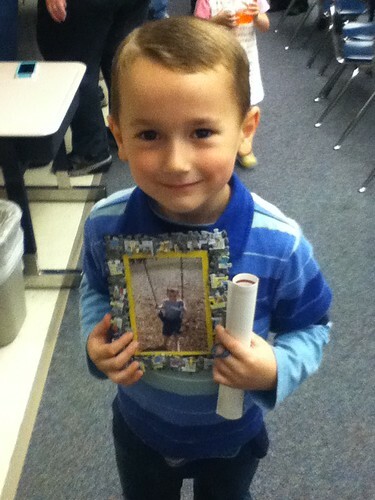 Here’s the graduate and his goodies! We love you, Buddy. Great job! Baby, baby, and more baby.